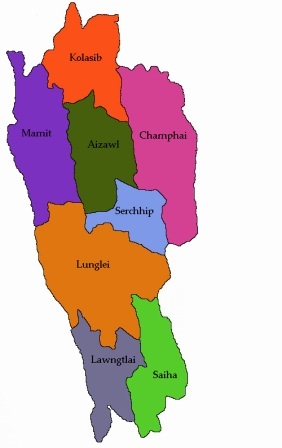 The Mizoram Assembly unanimously passed a bill that seeks to detect foreigners illegally residing in the northeastern state, that shares an over 700-km border with Bangladesh and Burma (Myanmar). Introducing The Mizoram Maintenance of Household Registers Bill, 2019, Chief Minister Zoramthanga said the influx of foreigners into the state through its porous borders has remained a serious concern for several decades. The measures proposed under legislation are intended to provide credible individual identification system and to prevent “usurpation” of benefits of developmental schemes by those who are not entitled, the bill says. According to local news sources, The Mizoram Assembly passed The Mizoram Maintenance of Household Registers Bill, 2019, which aims to check illegal migrants in the State. Zoramthanga said that even the Supreme Court has expressed deep concern for such continuous influx of foreigners and their assimilation in the mainstream. He said that the Centre had mooted a system of National Register of Citizens and issue of Multi-purpose National Identity Cards (MNICs) based on such register, as suggested before the apex court. Problems faced by the border State in the North East due to large scale influx of foreigners and their mala fide assimilation with the permanent residents in the villages of Mizoram had resulted in abnormal increase in the population, which also posed a serious threat to law and order as well as internal security of the State, he said. “It is, therefore, strongly felt necessary to develop a comprehensive database in respect of all the residents of Mizoram – whether in villages or in towns and whether permanent or temporary and to ensure its updation and maintenance of an on-going basis for the improvement of the system of delivery of benefits of development and welfare schemes as well as for security purposes, by way of enumerations and verification from time to time,” the Chief Minister said. He said that the proposed measure was intended to provide credible individual identification system and to prevent usurpation of benefits of developmental schemes by those who were not entitled. Justifying the legislation of the draft Bill, he said that the State has legislative power to make provisions for effective public order, due maintenance of law and order and meaningful village and town administration. He added that it was felt imperative for the State to invoke such powers to enact a suitable law for the purpose. Citizens, as described in the proposed legislation meant a person registered as such or having requisite qualification as prescribed under the Citizenship Act, 1955.